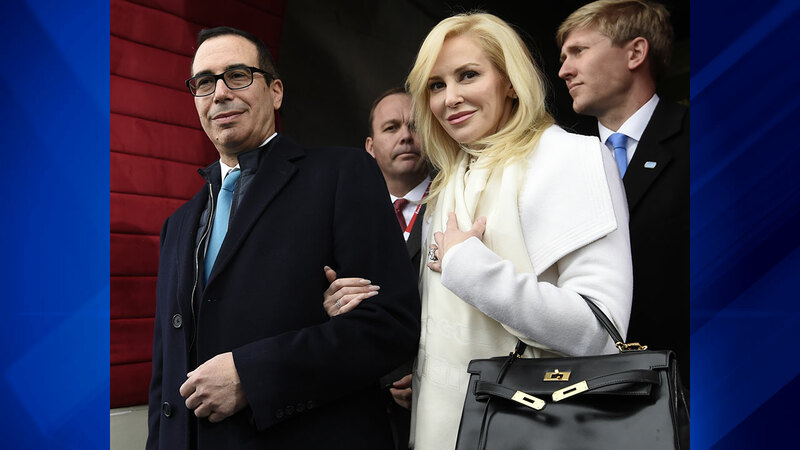 President Donald Trump and Vice President Mike Pence will be among the throng of Washington power players attending Treasury Secretary Steve Mnuchin's wedding to Scottish actress Louise Linton on Saturday evening. The nuptials are reportedly taking place at the historic Andrew W. Mellon Auditorium in Washington, DC. Trump son-in-law Jared Kushner and first daughter Ivanka Trump, both of whom are advisers to the President, are expected to attend along with several Cabinet members, according to a source. The event is being handled by wedding planner Lauryn Prattes, and the flowers are being arranged by Amaryllis, a company known for its dreamy floral designs. Mnuchin and Linton will shortly move into their renovated Massachusetts Avenue Heights mansion, which the secretary reportedly purchased for more than $12 million. Mnuchin, 54, and Linton, 36, have been engaged since 2015. They met at a wedding reception in Los Angeles in 2013, Linton told The New York Times. This will be Mnuchin's third marriage and Linton's second. The pair has faced backlash for alleged conflicts of interest since their arrival in the nation's capital. Mnuchin, who worked at Goldman Sachs and as a film producer prior to joining the Trump administration, was forced to apologize in March after appearing to promote "The Lego Batman Movie," a film for which he was an executive producer. In May, it was made public that Linton would resign as interim CEO of Dune Entertainment, a film financing company Mnuchin once headed, as part of his divestment.